Members of NGN’s Outside Plant (OSP) Team recently participated in Power Space Safety Training. The training program was taught by Larry G. Webster in association with the Tennessee Valley Public Power Association. During the class, NGN employees were instructed on how to properly work in the power space while building and maintaining fiber optic communication cables. 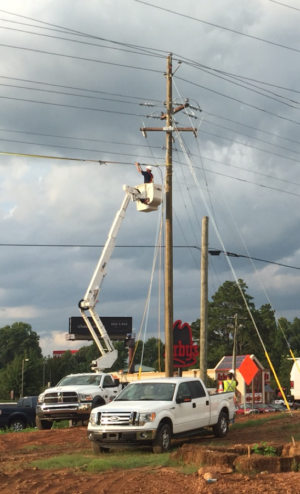 This included a review of the American Public Power Association manual and discussions on basic electrical safety, identifying voltage levels, installation procedures, and bucket truck safety. Upon completion of the training, all seven members of the OSP team received electric space certifications. The crew also obtained their flagging certifications and completed training on the correct procedures for marking lines. Flagging certification was provided in an extra one hour course taught by the American Traffic Safety Services Association. NGN places a high value on the continued education and safety of our crew members out working in the field. We appreciate their hard work and willingness to grow and obtain certifications like these. For more information about NGN, please visit our website and follow us on Facebook, Twitter, and LinkedIn for the latest news. 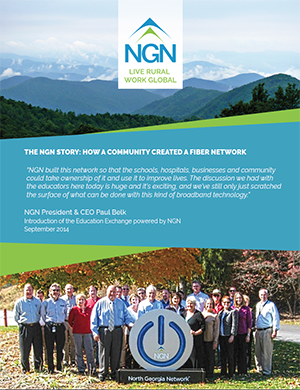 © 2019 North Georgia Network. All Rights Reserved.